Home » Architecture » Christian Dior – Architect or Fashion Designer? Christian Dior – Architect or Fashion Designer? Dior’s collection adopted quickly the name of New Look. It was fresh. It was rich. It was unique. And almost immediately it dazzled the social elites of the world. To Dior’s faithful followers belonged, among others, the Duchess of Windsor, Eva Gardner, Grace Kelly, Rita Hayworth or Marlene Dietrich. In Hitchcock’s movie ‘Strange Fright’, Dietrich had her whole wardrobe designed by Dior. What was then the secret of this extraordinary success? Most of all, Dior’s dresses were not just pieces of couture, they were pieces of art. Constructed like sculptures or architectural marvels, they ‘scaffolded’ woman’s body. They reflected Dior’s love and admiration for architecture: “I wanted to be an architect. Being a designer I have to follow the laws, the principles of architecture. Speaking about the architecture of a dress or gown is not senseless. A dress is constructed and constructed according to the fabric grain and the fabric grain is the secret of couture and it is a secret that depends on the first law of architecture, obeying the laws of gravity.” (Christian Dior). As much as this approach to fashion design won Dior many appreciators, he was also accused of ‘harnessing’ women and turning them into fashion victims. Many of his outfits were very heavy and rather uncomfortable to wear. Constructed of tight corsets, complex under-structures of straps holding the pieces of clothing in a required shape and position, they made women move and act in a certain way. Therefore, in the context of social changes at the time, Dior’s style was a certain paradox. In the post-war world, the world of freedom, liberation and progressing female emancipation, Dior ‘imprisoned’ women in his ‘architectural’ designs; unlike Chanel who responded to the growing independence of women in a completely different way. Her simple jackets, comfortable dresses and trousers, which were rather chic than extravagant, became the symbol of a woman of success. “We are not artists but producers of dresses” she said “The essence of authentic works of art is to appear ugly and to become beautiful. The essence of fashion is to appear pretty and to become ugly. We do not need genius, but much workmanship and a little taste.” (L’Express, 7 August, 1956). 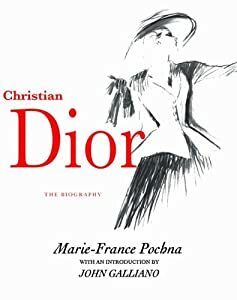 Dior, with his abundance of materials and elaborate detail, made of himself, on the other hand, a designer for rich and famous. Some fashion experts claim that Dior did not invent the New Look at all. They say that he merely went back in history and revived what had been already done during the period of the Belle Époque when grand fashion was associated with class, status and elegance. The question is, why did he decide to go this way? There is a theory that Dior’s major motive behind his first collection was to stimulate the influx of money into the clothing industry, and especially into the business of Marcel Boussac, a French entrepreneur and owner of Maison Dior. This could explain the controversial length of the dresses and the amounts of fabric used in Dior’s designs. Considering the growing desire for a feminine look, one can easily imagine that Dior’s input into the economy was significant. But it should not be seen as a negative aspect at all, as after all thanks to Dior, the fashion industry became unquestionably challenged. The period between Dior’s first collection and his death is called the Golden Age of Couture. During that time Dior gave women their right to femininity, whilst Chanel gave them freedom and power. In a way they complemented each other creating a new kind of a woman: feminine, yet independent and powerful.